People have asked me about the picture on my sidebar. This is a home made device for creating wood carvings, especially signs. It is a beefed up Pantograph. 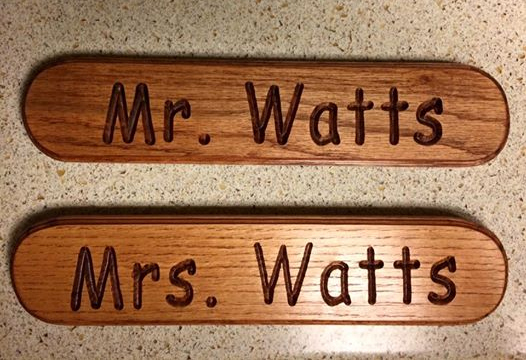 I used it to make these two signs for my daughter and son in law. As teachers, they display them in their classrooms. I create templates for each letter on scrap particle board. 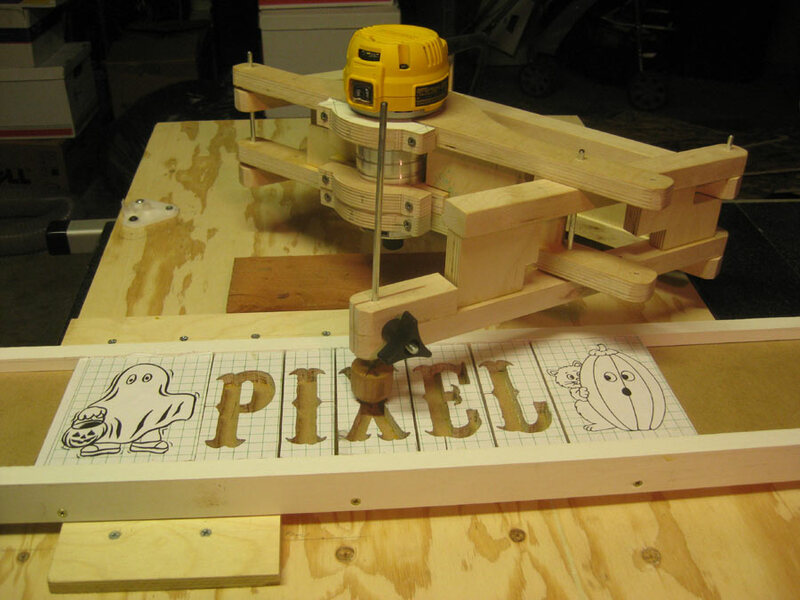 The letters are printed out with grid marks and affixed to the wood blocks, and cut out with a scroll saw. The letter blocks are double size, and the pantograph shrinks them by 50% and this makes any slight defects in the letters imperceptible. The pantograph is also 3D, so depth is also variable, and a conical follower can be used with a conical router bit to create sharp corners. Almost impossible to do with a round router bit.